After any fast of more than a day or so, it’s important how you re-introduce food back into your diet. Oranges are a great way to break any fast, as the citrus content helps to provide a final element of detox as well as to prime the liver for its role in digestion. After this, though, perhaps the best thing you can do for your body is to drink green smoothies. This is exactly what we did at the end of our recent 7-day water fasting retreat. Green smoothies are easy on the digestion while providing valuable vitamins and minerals. For those with particularly sensitive digestion or people finishing longer fasts (especially 21+ days), green smoothies are sometimes the only food which the body readily accepts. This should also tell us something about how important leafy greens are in our everyday diet as well! The recipe which follows is only a suggestion, and is what we used after the retreat (based on what I was able to find at the local shops). The main thing is to focus on lots of leafy greens! Dates and/or bananas can be added as required, in order to boost the caloric content or improve the taste. I began by blending the kale and celery into the saucepan of fresh spring water. Given that kale and celery have the toughest texture of all the ingredients, I wanted to make sure that my poor little hand blender would be over the worst before the mixture began to thicken up with the other ingredients. After that, I simply continued by adding the lettuce, avocados, kiwis and soaked dates. (It’s important to soak the dates overnight, as this both softens the texture as well as releases their full goodness.) Instead of dates, bananas can work equally well, providing a creamy-smooth texture. After the mixture had become fully homogenous, I added a little cinnamon to taste and finished blending. Instead of cinnamon, pressed fresh ginger can also work very nicely. Alternatively, after a fast there’s no need for spice at all – although it’s true that both ginger and cinnamon aid in digestion. This should provide at least 4 servings. The main thing, though, is to go with whatever is green, fresh, ripe and available. Be creative and have fun! 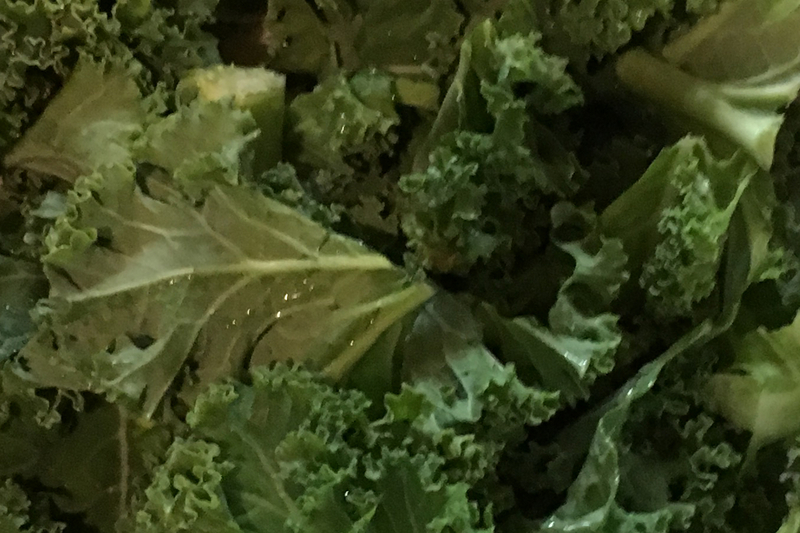 Thanks for sharing – one little thing which maybe I’ll write into the article: if you’re using kale, a simple hand blender is going to struggle a little in order to reach a nice smooth texture, so do give it time! Yes, thanks for the heads up! I am lucky enough to have a good blender for my smoothie (not juice as wrongly mentioned by me above 🙂 and another equally good second hand juicer for my juice…..
Next PostEnjoy the gift of food!